All the delicious flavors of all in one dish. 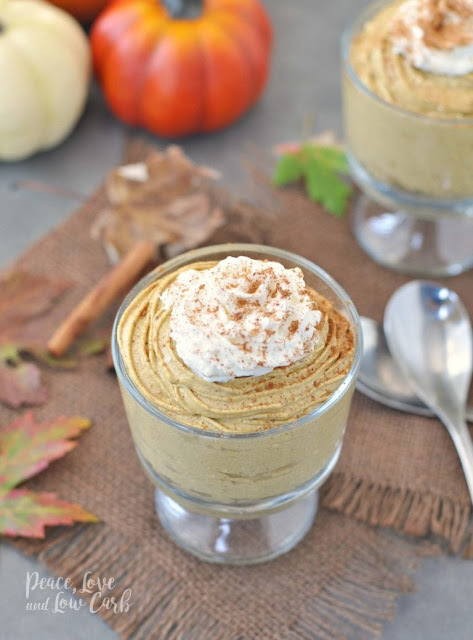 Low Carb Keto Pumpkin Cheesecake Mousse ! This low carb pumpkin cheesecake mousse recipe has all the flavors of a low carb pumpkin pie, but with a deliciously creamy, whipped texture. It is sure to become a fall favorite. I like to top mine with a little fresh low carb whipped cream. To make the low carb whipped cream, I just whipped heavy cream, vanilla extract and natural low carb sweetener together until stiff peaks formed. Then put it into a pastry bag and you are good to go.